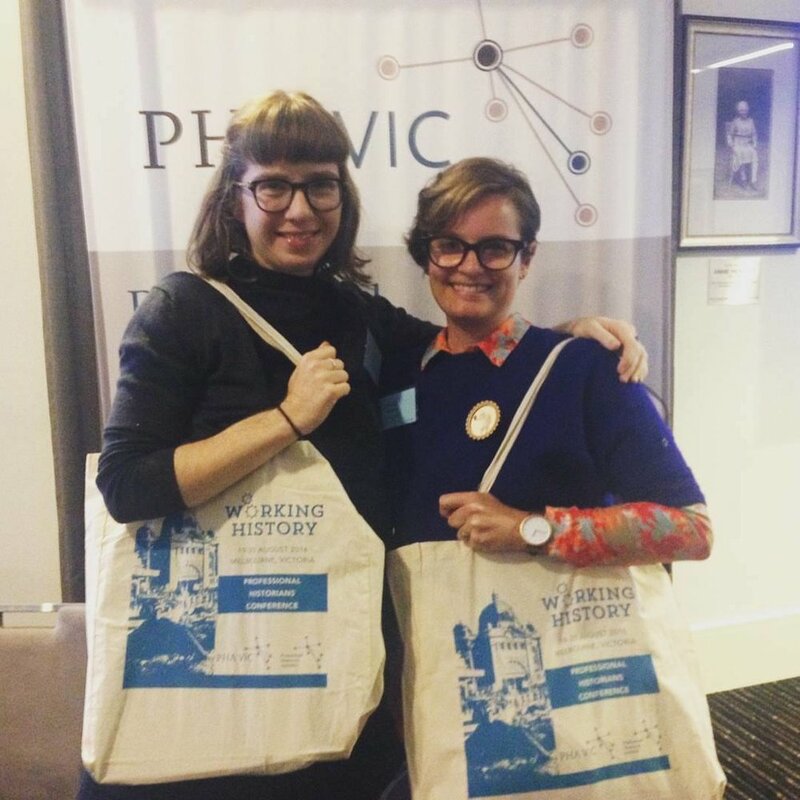 A short time ago the Way Back When team attended the Professional Historians Association conference 'Working History' in Melbourne. Taking place over two days at the University of Melbourne’s Graduate House, the conference attracted professional historians from across the country and beyond, with several participants travelling all the way from New Zealand. The theme of Working History encouraged us to share our professional experiences and expertise as professional historians. It was an absolutely jam-packed few days, with stimulating discussions and debates inspired by the engaging papers and keynote speakers. We were fortunate to have two excellent keynote speakers – Tim Sherratt, Associate Professor of Digital Heritage at the University of Canberra and Lisa Murray, City Historian at the City of Sydney. Both were equally inspiring – Tim on the seemingly limitless possibilities of digital technology for history (check out his blog for some really exciting ways to tell stories of the past using data) and Lisa on her work and role as the official City Historian for Sydney. It certainly got us Melburnians wondering why we don't have one! The stimulating program was packed with interesting and thought-provoking topics, and the quality of the presentations demonstrated the talent of our professional historian colleagues. The varied lengths and formats of the presentations, including 20 minute papers, lightning talks, panels, posters and digital presentations, added to the vibrant atmosphere. Katherine and Lucy both gave presentations – Katherine a lightning talk on the role of the consulting historian, and Lucy demonstrated how free software can be used to create interactive and engaging community histories. The Navigating Complexity session, where silence emerged as a major theme, was a stand-out. In her paper ‘A contemporary collision: School history meets child abuse’, Helen Penrose spoke candidly and carefully about one of the most challenging situations that can confront a professional historian. She urged us not to be silent, arguing passionately for histories that tell the full story honestly and sensitively, without shying away from even the most difficult aspects. Michael Bennett gave great insight into the multitude of challenges involved in Native Title, including the issue of dealing with significant gaps and silences in the records. And Nikki Henningham highlighted silence as a form of agency in oral history interviews, encouraging us to examine the silences for the complex meanings they can reveal. All three papers generously and unflinchingly interrogated our everyday practice, and left us with much to think about. Another highlight was prominent historian Emeritus Professor Geoffrey Blainey, who captivated the room with reflections on his own journey and career as an historian. You can read more about his conversation with Michelle Rayner over at PHA (NSW & ACT)’s blog. The conference’s closing session – a provocation on the question of where to for PHA – was a chance to examine where we are now and discuss the challenges we face as a profession. Interactions between historians continued in person and online with the hashtag #WHpha2016 even trending on social media at one point. Search this tag on Twitter to see some of the many links, quotes, photos and connections being shared during the conference. Working History was an opportunity to meet colleagues from across the country – something we value and often lack – and to share some of the most rewarding and most challenging aspects of being professional historians. Presenters explored issues that we face in our profession, demonstrated the huge array of work that we engage in, and raised common questions and challenges that so many of us encounter. It was a forum for self-reflection and assessment of our practice, in an atmosphere that was encouraging, supportive and respectful. At the end of the two days we felt invigorated and inspired to continue our practice. The conference organisers, including several of the Way Back When team, are to be heartily congratulated for putting together a conference of such depth, breadth and professionalism. We all agreed that Working History was the best conference we have attended and we are grateful to have been able to participate in such a positive and engaging experience. On Thursday 17 and Friday 18 September this year, Fiona Poulton and Lucy Bracey attended the War and Emotions symposium at Melbourne Museum. It was a marathon two days which had us not only thinking critically about the WWI centenary but also the way in which we practice and engage with history. We were so exhausted after live tweeting the whole thing we haven't got around to blogging about it. But after learning about Storify from the fabulous Professional Historians Association, we thought we'd storify some of the tweets so those of you who didn't make it can at least get a feel for some of the thoughts, comments and questions floating around at the symposium. See below or head to Storify! I don’t mean to drive you wild with jealousy, but in mid-July while Melbourne shivered through its coldest day of the year, Lucy and I had the pleasure of travelling north to Brisbane for the 2014 Australian Historical Association (AHA) conference. The conference was held at the University of Queensland, St Lucia, in glorious, warm winter sunshine. We ate lunch with colleagues on the grassy lawns, gazing up in admiration at the surrounding sandstone buildings, and we even had to break out the sunhats and sunscreen – I kid you not! But warm weather and beautiful location aside, the conference was a wonderful opportunity to connect with colleagues and enjoy presentations around the conference theme ‘Conflict in History’. While many sessions focused on war history, the theme was interpreted broadly and there were also papers on a wide range of topics such as feminism, sexuality, indigenous history and history making. We particularly enjoyed Ann McGrath's presentation about an indigenous woman, Alice Kelly, who became involved in the management of archaeological work conducted with human remains at Lake Mungo. We're very much looking forward to seeing the film Ann has co-produced, 'Message From Mungo'. Lucy presented as part of PHA (Vic)’s session for the conference – a replay of last year’s History Week event ‘Well-behaved women seldom make history’. Despite being one of twelve sessions held concurrently, it attracted an audience of over sixty people! Clare Wright was a wonderfully engaging host, and the presentations showed off the skills of professional historians in presenting history that is both informative and entertaining. While originally developed with a general audience in mind, the event also seemed to be very well-received by an audience of fellow historians. A PhD student was even inspired to write about it in a blog post! Lucy and I also really enjoyed Professional Historians Australia's affiliated conference, visiting the University's Anthropology Museum and taking an exclusive look at the WWI material held in the Fryer Library. 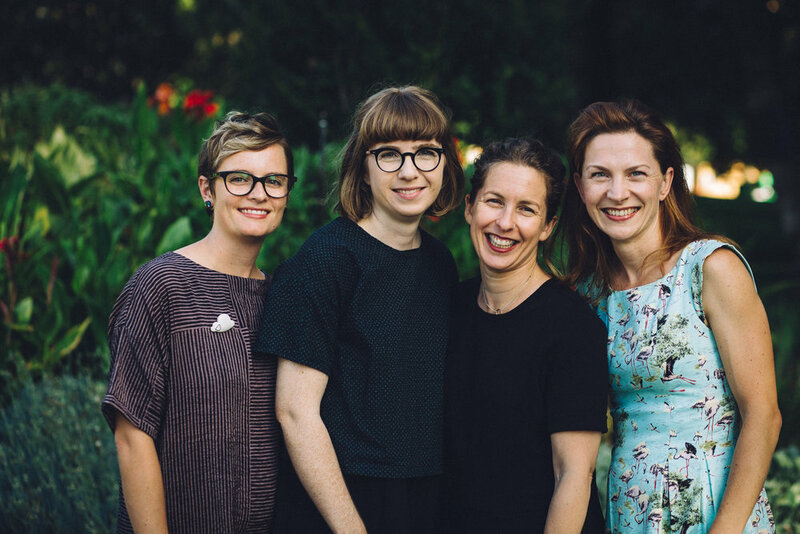 We celebrated the launch of the fourth issue of PHA’s Journal of Professional Historians, Circa, in style one evening at Brisbane’s Old Government House. Following the launch we were treated to a tour of the stunning early 1860s building, including some rather beautiful fireplace tiles, which you can see in the photos below. Although we attended just two days of the AHA and PHA conferences, we had a fantastic time, and not only because of the rejuvenating Brisbane sun!